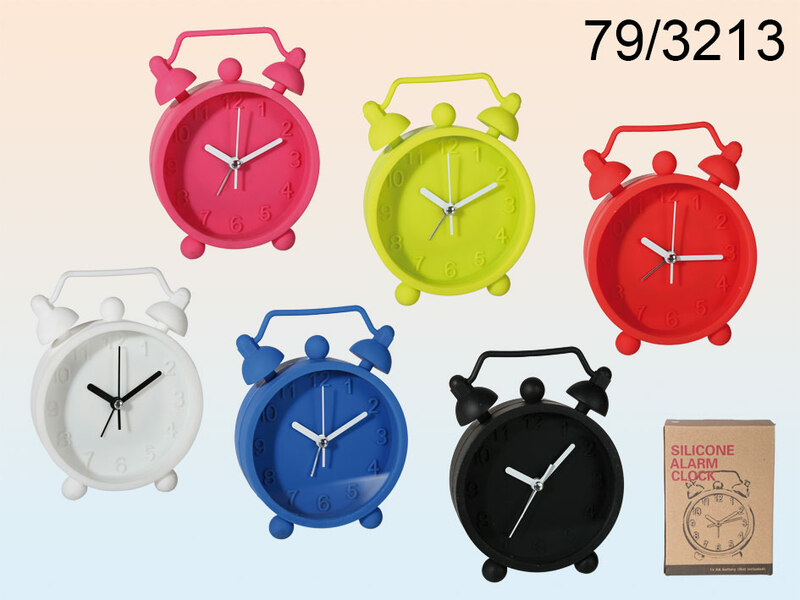 Modern, silicone alarm clock in a classic shape. Great interior design item. Cool gift idea. Size: around 10 x 13 cm. Assortment of 6 colours. Battery-operated (for 1 AA battery).